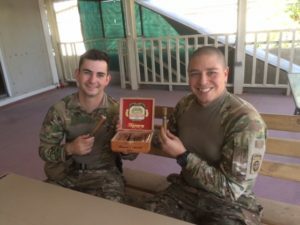 We received our first care package a couple days ago, which was perfect timing! 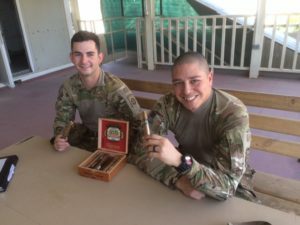 The day after the box arrived, the troops got together for “cigar” night – not one person was without a cigar. Ha! It was a fun night. I realize after attaching the pictures, I need to send a few from the next cigar night. 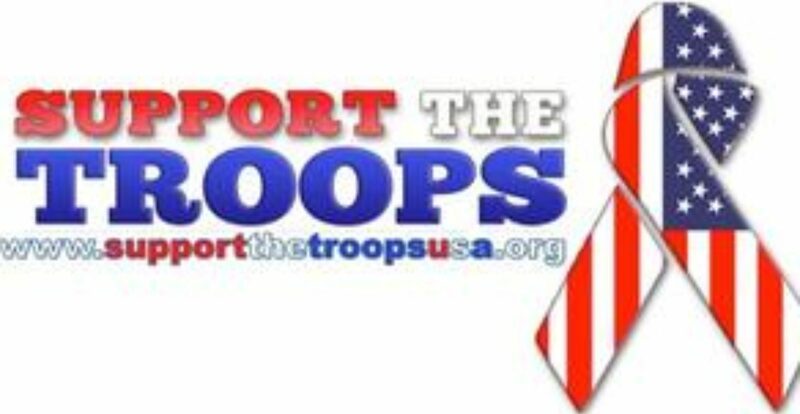 I will also send some of the trading that goes on directly after receipt of a box. The females use the cards to trade for snacks, the males will trade about anything for one of those silly decks. It is actually pretty entertaining to see. It is the little things that make us smile over here, thank you for bringing so many smiles this week.